Facebook: Raising a child in today’s digital world can be overwhelming. As the mom of a college-aged daughter, I’ve seen how technology can be beneficial and educational in some ways, but distracting and concerning in others. My daughter and online technologies have grown up together. She’s always been more adept than I am at moving around in her digital universe, and I’ve often found myself anxiously trying to keep up. I know I’m not alone in the questions I’ve asked, the mistakes I’ve made and the worries I’ve had as a parent when it comes to kids and technology. As a mom and a former teacher and policy advisor for a state attorney general, I have heard many people voice these concerns. I believe that the largest social media platform in the world has the opportunity and obligation to address these issues, and I wanted to be a part of that. Many of us at Facebook are parents, and naturally we’re thinking about technology’s role in the lives of children and families. Other technology companies are grappling with this as well. Children today are online earlier and earlier. They use family-shared devices — and many, as young as six or seven years old, even have their own. They love to take photos, watch videos, talk to their grandparents and of course they want to be just like their older siblings and use the apps they’re using too. It can be hard for caregivers to manage. 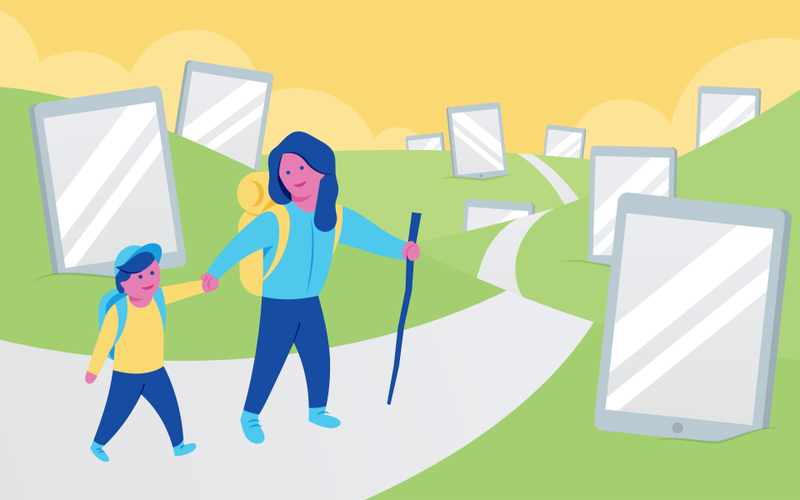 While kids have more ways than ever to learn and benefit from online experiences, three out of four parents say they worry about their kids’ online safety and want more control.